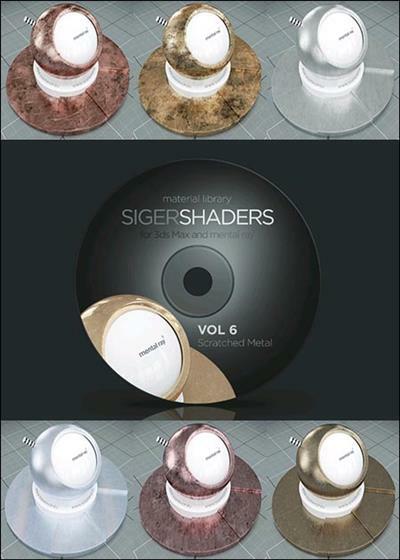 SIGERSHADERS Vol. 6 for mental ray present to you new library of 22 professional scratched metal 3ds Max materials with 70 high quality, seamless maps. The materials of libraries and scripts / plugins presets do not intersect.